Hi everyone! 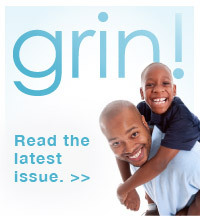 In case you hadn’t seen it, Northeast Delta Dental recently announced the launch of a new e-publication, GRIN!, on May 25, 2012. 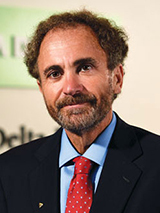 This quarterly oral health periodical will feature a variety of helpful and educational articles centered on… what else? – your teeth and good habits to keep your smile healthy and happy! Each issue will offer interesting trivia, feature articles, reader questions and answers, entertaining tidbits, and a whole lot more. I invite you to check out the first issue right now at nedd.grinmag.com. And hey, “Mouth Off” and let me know what you think; your feedback is a gift. Thank you. This entry was posted in Communication, Oral Health. Bookmark the permalink.